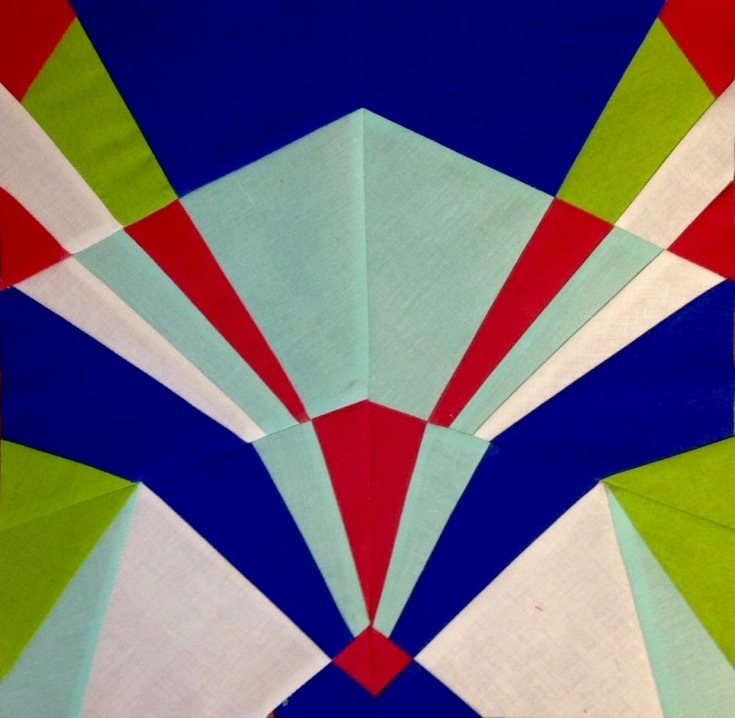 2015 Fabri Quilt New Block Blog Hop: Art Deco Summer! Vor ein paar Wochen habe ich eine Einladung erhalten! 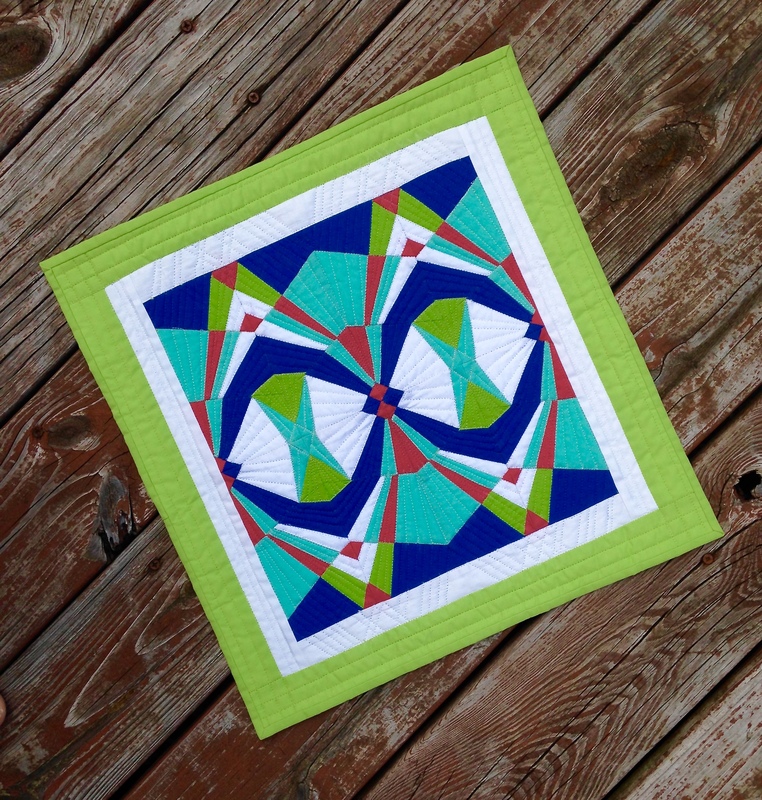 Ich sollte an dem “2015 Fabri Quilt New Block Blog Hop” teilnehmen! Das ganze ist sehr aufregend, sensationell, spannend, macht mich aber auch sehr nervös. 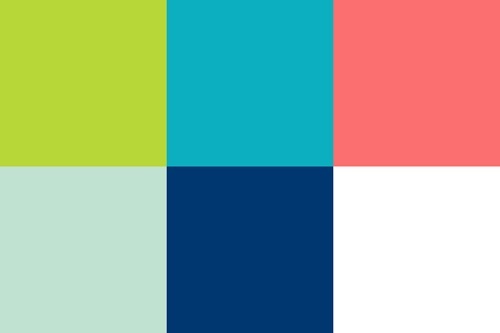 62 of us new bloggers (yes, that many) were each given six fat eighths of fabric (see color palette below), and challenged to create an original block measuring 12 1/2″ x 12 1/2″. We were to use at least three of the provided colors, write a tutorial and publish said tutorial on a pre-determined date (mine is today). The completed sample block is being sent to one of our hosts, who will make charity quilts out of all of them. 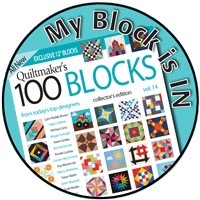 So, read on, you can pick up 62 free block patterns – woo hoo!! Im ganzen nehmen 62 von uns daran teil; uns wurde allen die selben Stücke Stoff zur Verfügung gestellt (Farben siehe unten). Jedes Stück ist 22cm x 45cm, wir mussten einen Block entwerfen der 31.75cm x 31.75cm ist, und wir mussten mindestens drei der sechs Farben verwenden. Dann mussten wir ein posting schreiben und dieses posting an einem gewissen Datum veröffentlichen (für mich ist das heute). Der Block den wir aus dem Stoff hergestellt haben, muss an unsere Leiterin geschickt werden die dann aus all diesen Blöcken quilts nähen wird (die gehen dann an ein Spital). A HUGE thank you to Fabri Quilt, whose solids I love, love, love for providing us with these fabrics! Ein grosses Dankeschön geht an Fabri Quilt (dessen einfarbige Stoffe mir sehr gefallen) !! It is paper pieced and not difficult to put together. The pieces are of a size that is easy to handle (nothing too large and nothing too small), and there are almost infinite possibilities as far as color combinations and block arrangements are concerned. Es ist ein Nähen auf Papier Block (natürlich) und nicht schwer. Die Teile sind mittel gross (nicht zu gross und nicht zu klein) und man kann damit unzählige Variationen erzielen. The gallery below shows just some of the quilt layouts that are possible; in the pattern I have included a line drawing of the block, as well as a line drawing of one of the layouts. Using colored pencils/crayons/your computer (or anything else) you can now use your own colors and create secondary patterns to your liking! Ich zeige hier ein paar von den Variationen die mit diesem Block möglich sind. Mit dem Muster habe ich auch zwei Malvorlagen beigelegt – da kann sich dann jeder seine eigenen Farbe/Variationen anmalen. The pattern for the block (which includes the two coloring pages) can be downloaded here. Das Muster ist hier erhältlich. And below are all my co-bloggers for today – I can’t wait to click on over to their blogs and see what fabulous blocks they designed! 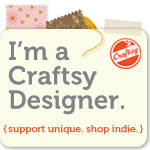 Tomorrow (Tuesday) check out Cheryl’s blog @MeadowMistDesigns; she is the host of a whole new group of bloggers. Wednesday it will be Stephanie’s group’s turn @LateNightQuilter. 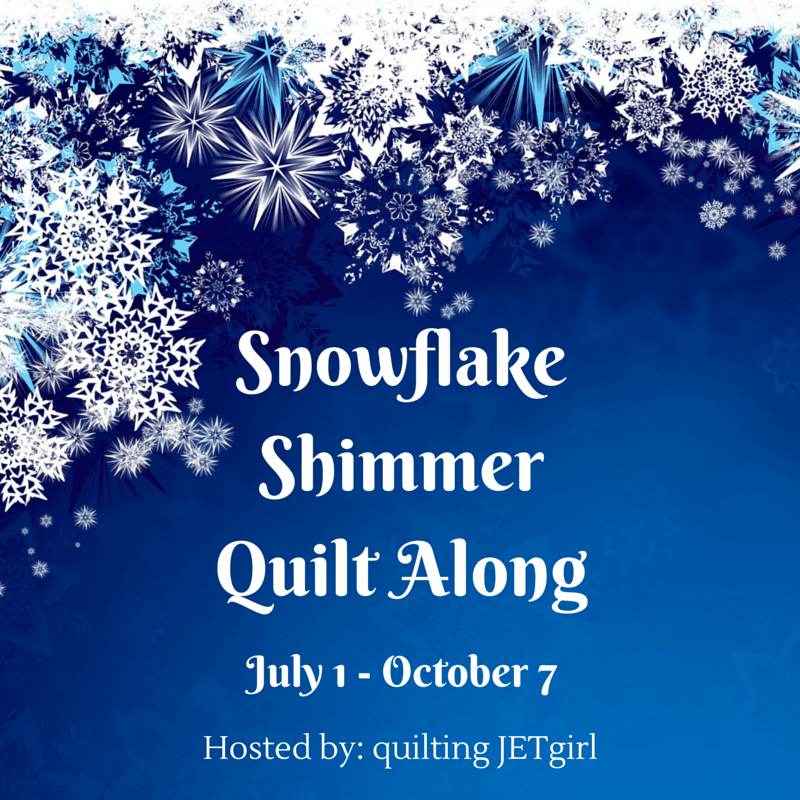 And Thursday, the final group, hosted by Teri Ann @ChildLikeFascination will blog about their blocks. I can’t even begin to imagine how much work all this has been for the four hosts – all of us that participated owe them a debt of gratitude. A truly unique and beautiful block. I think I like this one best of those so far in the blog hop. Thanks for sharing it and linking it to WIPs Be Gone. WOW! that is beautiful! I’ve only tried paper piecing once, but it wasn’t very good. Haven’t had the nerve to try it again. Stunning block. I’ve always loved the art deco style. You truly captured it. 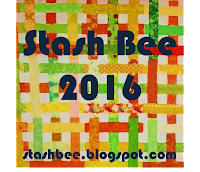 Thank you for providing the pattern, potential layouts and links to the other bloggers designing blocks. Beautiful paper piecing! I love the Art Deco look here. It worked so well with the crisp solids. 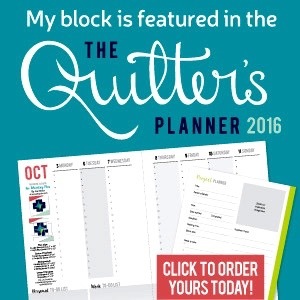 I just found your blog through The Quilter’s Planner and I love this block! It is now on my list of quilts to make! Thank you.